If you want to graduate from a Pokemon trainer and become a Pokemon Master, then your going to need to know all your moves. 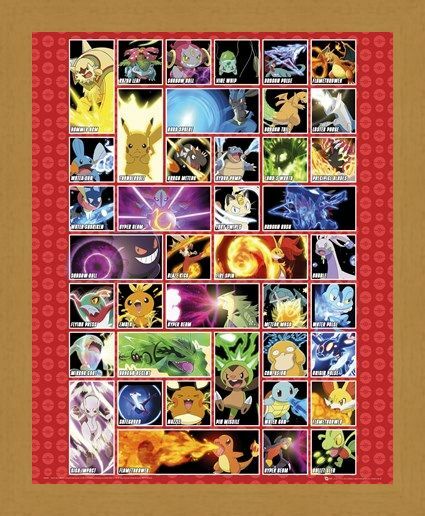 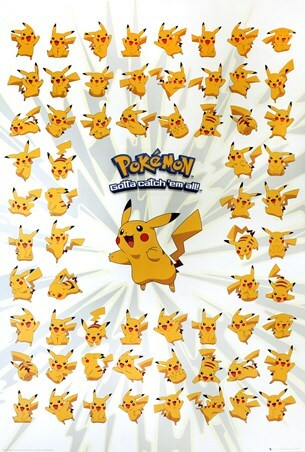 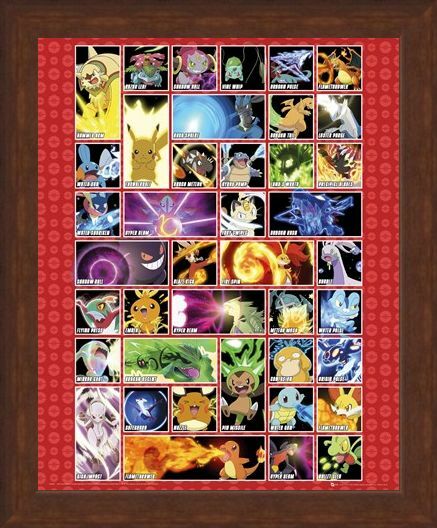 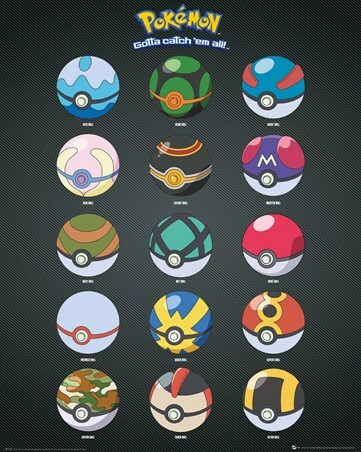 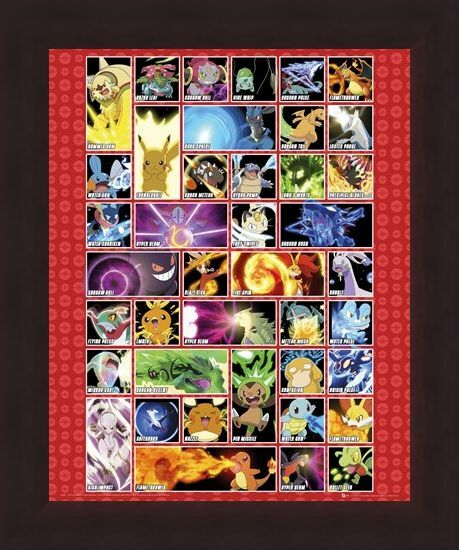 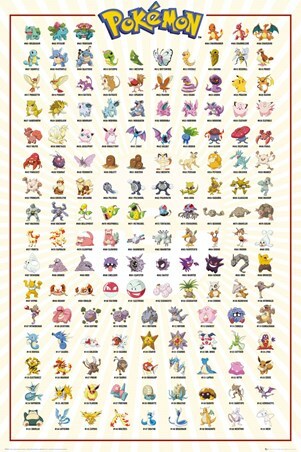 This awesome poster features the special moves from 42 fighting Pokemon. Whether you love the TV show or enjoyed the mobile game, this poster is a must have to hang on your wall. 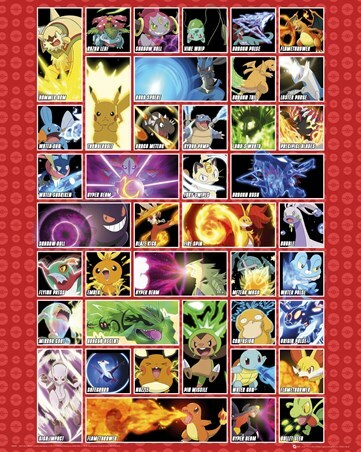 Know your 'Thunderbolts' form your 'Fire Spins' and your 'Hyper Beams' from your 'Fury Swipes'. 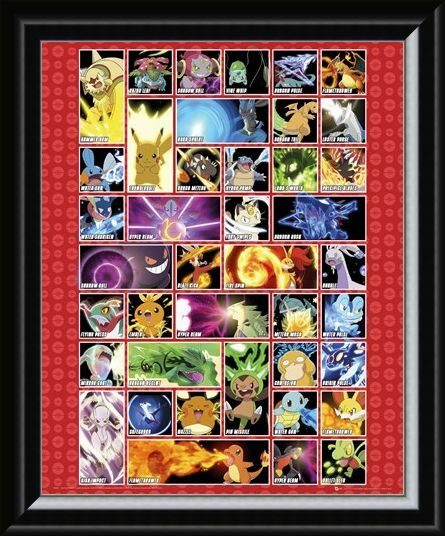 High quality, framed Moves, Pokemon mini poster with a bespoke frame by our custom framing service.